Ross Myers is a native of Tulsa, Oklahoma. He graduated with a Bachelor's of Fine Arts degree from the University of Tulsa in 1977 and has owned and operated the Myers School of Fine Arts of Tulsa, the largest privately owned art school in the area, for over 18 years. While maintaining a full time teaching schedule, Myers also paints every day and has become a well-known and highly collectible artist. Because of the limited time he has to paint, the demand for his work is far greater than the supply. It is a lucky collector, indeed, who is fortunate enough to buy a Ross Myers painting. 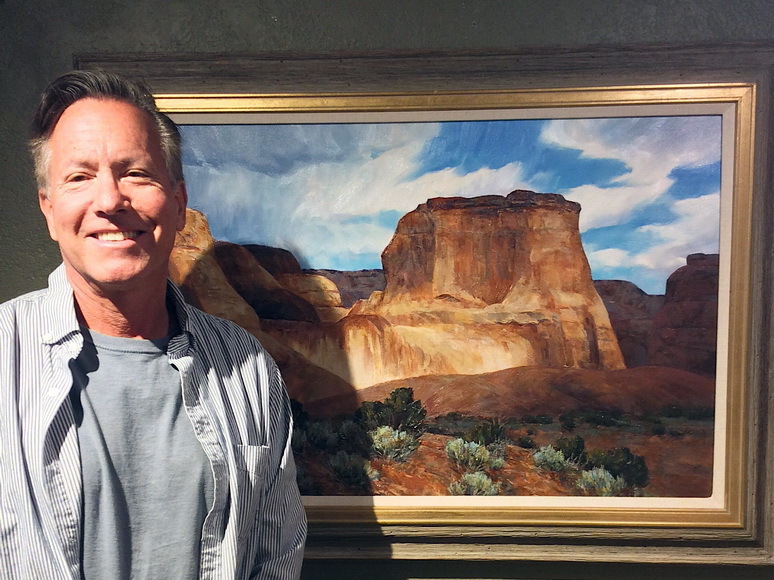 Myers is best known for his expansive landscapes of the southwestern United States and southern Colorado, areas of the country that he feels an emotional connection with and visits often. His paintings are reflections of his personal experiences. He uses his own photographs as a frame of reference to add to the details and develop the superb lighting for which is is known. He usually has three or four paintings in progress at one time.